More about our seating system projects from this Youtube video. Auditoriums and concert halls are demanding functional environments. The premises are created according to the architectural, visual, acoustical and technical completeness. PIIROINEN is a prominent Finnish furniture and seating manufacturer that offers furniture that satisfies a customer’s specific needs. 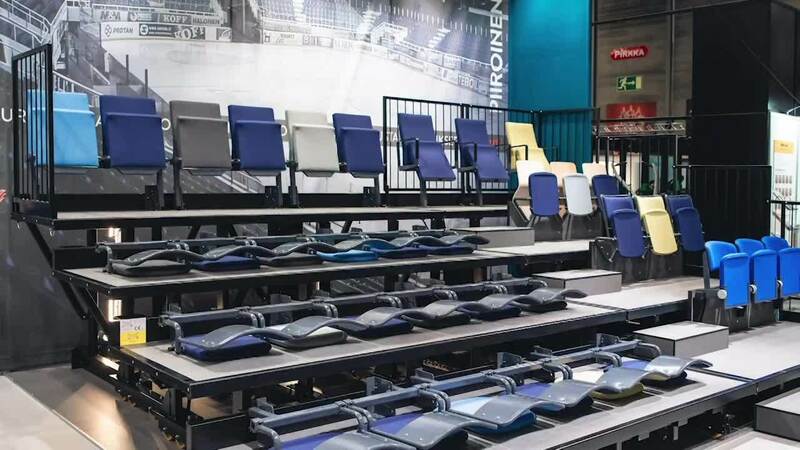 PIIROINEN’s standard lecture- and auditorium seating models are designed for contemporary interiors with special features that bring substantial additional value to the sitting comfort. We collaborate with architects and space planners in order to accomplish challenging projects. PIIRONEN has years of experience in auditoriums. Our strength is to be able to deliver high standard and functional furniture for auditoriums both in Finland and to the international market. Our major business area is to develop, manufacture and install seating systems for large sports arenas. Typically these are turnkey projects which we have many years of experience. Our most important new reference is delivery of 12 000 seats to Sochi, Russia. Our seats are installed in main ice rink in future Olympics. Furniture is a part of the project requiring a wide understanding of goals and needs in order to succeed. Since furnishing is implemented at the end of the project, furniture solutions are often guided by very strict pre-set boundary conditions. In projects, we take an active role to identify different alternatives and to find the best solution. Thanks to our own product development and manufacturing, we can supply our customized standard products or specially tailored products according to customer needs. Our decades of experience combined with our constant desire to renew makes us strong and competent partner for various projects.